Calamba officially known as the City of Calamba and often referred to as Calamba City, is a component city of Laguna, Philippines. It is the regional center of the CALABARZON region. It is situated 54 kilometres (34 mi) south of Manila, the city is known as the Resort Capital of the Philippines because of its numerous hot spring resorts, most of which are located in Barangay Pansol, Bucal and Bagong Kalsada. The name of the city comes from a legend that during the early time of the Spanish period in the country, two “guardias civil” or soldiers were lost and passing through what is now Calamba. The soldiers met a young lady who came from a river carrying a jar of water and a wooden stove. The soldiers unwittingly in Spanish language and in authoritative tone, to conceal the fact that they were lost, asked the local maiden the name of the place they were in. The lady, who speaks only her native language, naturally thought she was being interrogated about what she was carrying and nervously uttered “kalan-banga”, meaning “clay stove” (kalan) and “water jar” (banga). 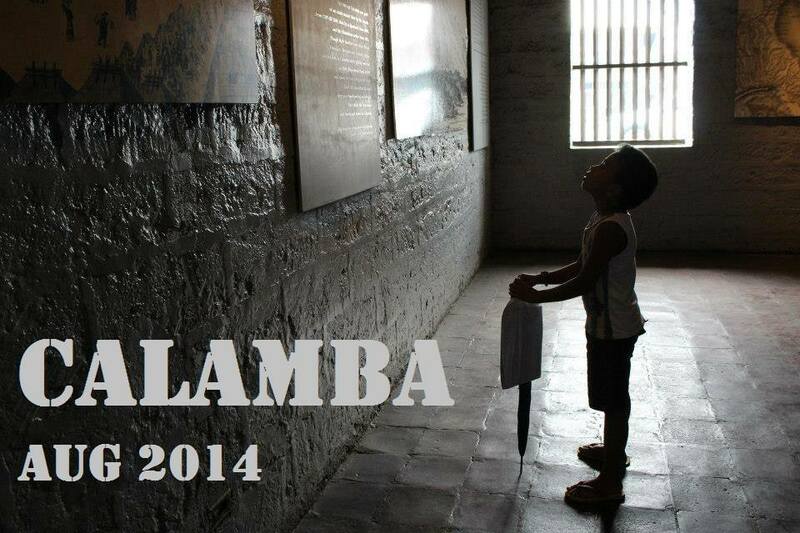 Because the Spaniards could not pronounce it properly, the town has been called Calamba supposedly since then. This legend is immortalized with a large concrete water jar erected in the city plaza with the names of the city’s barangays written on its surface. 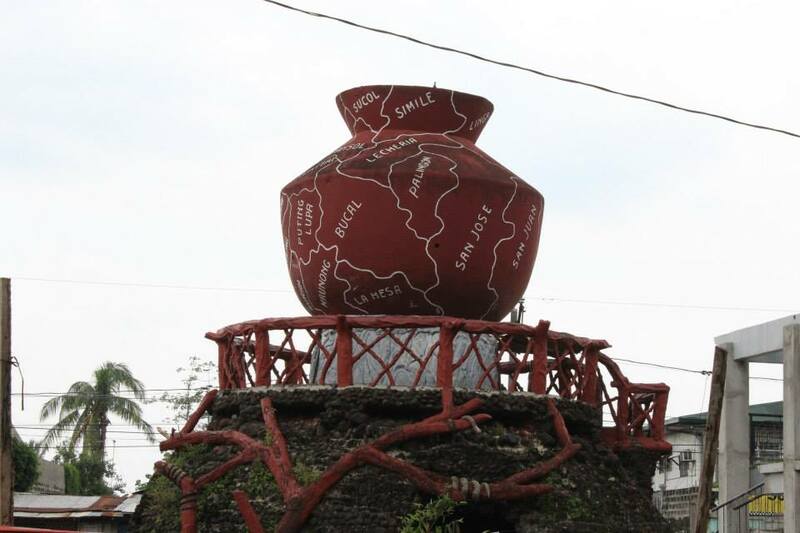 It is considered the “World’s Biggest Claypot”. This same jar is also found in the city’s seal. The plaza was proposed by Dr. Agapito Alzona, then the town councilor to utilize the waste area where the old town market relocated from. The resolution was approved by the then town mayor Roman Lazaro and added additional P5,000 for the fence to the original P15,000 construction cost. It was completed in 1939. 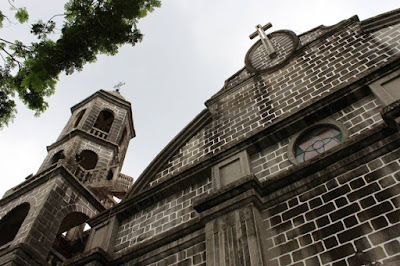 St. John the Baptist Parish Church (Filipino: Simbahan ng Parokya ni San Juan Bautista), commonly known as Calamba Church, is the oldest Roman Catholic church in Calamba, Laguna, Philippines. 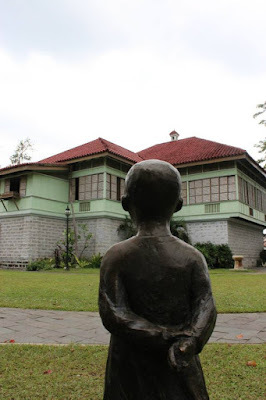 It is located adjacent to Rizal Shrine and is known as the christening site of José Rizal. The current parish priest is Rev. Msgr. Jose D. Barrion.